If you ask most men, they would most likely describe themselves as 'sharply-dressed'. However, online jewellery retailer William May has flipped the script and asked 2,000 women about what they thought of the fashion choices of the men in their lives. The results made for interesting reading. According to the poll, the 'he-veage' is the biggest no-no for women. When asked what the biggest fashion faux pas was, 30 per cent of women polled said it was a 'too-low neckline' (which was said to show off the he-veage). 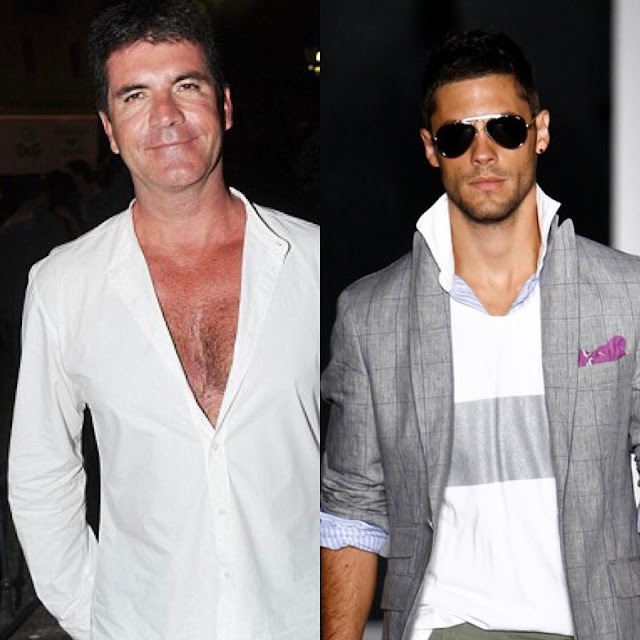 20 per cent of women hate when men pop their collar and another 20 per cent can’t bear mismatching belts and shoes. 20 per cent said that it was wearing the wrong socks with trousers; 5 per cent when men wear suspenders with a belt; and 5 per cent said the worst was when men didn’t button up their suits properly. When asked about their favourite looks, most women chose the 'Americana' style; the typical man wearing any or all of the following: a shearling jacket, indigo denim shirt, or Chelsea boot. In second place was the ‘Smart and Sporty’ look – this guy is basically dressed for any occasion, and mixes his tailored suit-y look with a dash of sports luxe. The third favourite look was the ‘Future Commuter’ look – he’ll be wearing the latest tech accessories, like an Apple watch or fitbit, teamed with modern fabrics, usually layered. The 'Logo Lad' was in fifth place and this is the man will be wearing branded trainers (probably by Yeezy), big, bright slogan t-shirts and tracksuits, and doesn’t mind some throwback to 90s nostalgia. The least favourite look was the 'Scumbro'. This guy is making badly dressed look ‘cool’ in baggy trousers, graphic shirts and bolshie caps. Most of what he is wearing costs more than your car, and he probably takes inspiration from Justin Bieber’s latest look. Who would have thought it would cost so much to look so poor. With input from Floyd Lloyd Bespoke, William May has created a slideshow of each style, which describes the type of guy you’d expect to see dressing this way, where they might be hanging out or going to, and what items of clothing they’ll be wearing.